A woman is known by her jewelry! 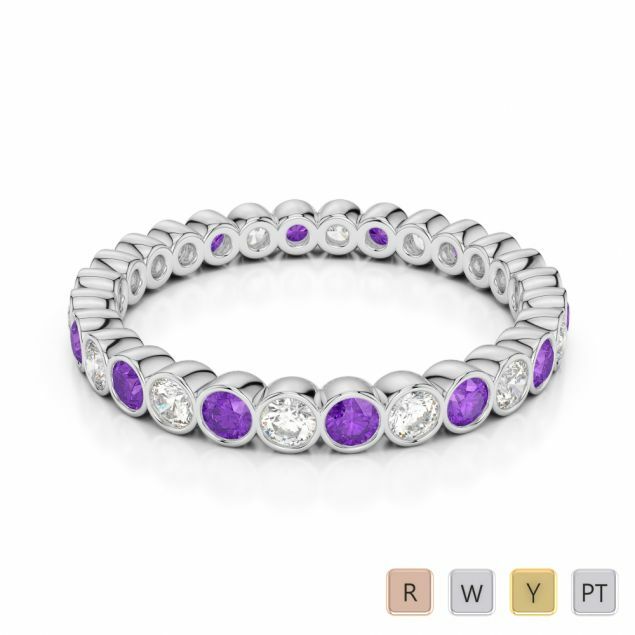 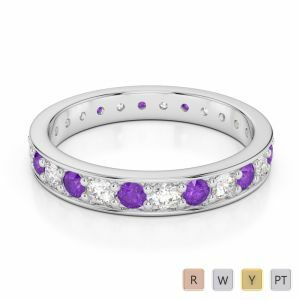 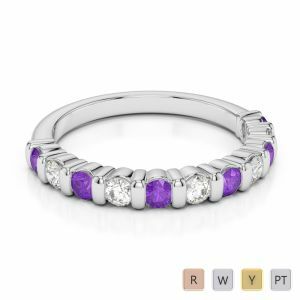 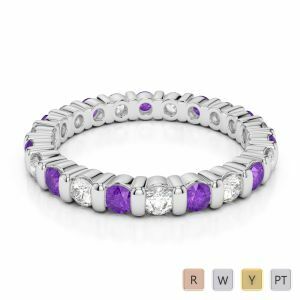 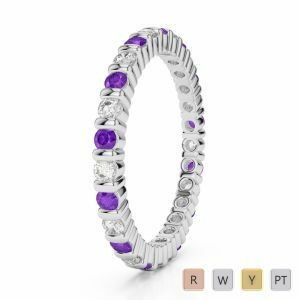 Not quite true but you can definitely extend her collection by gifting her with a beautiful amethyst eternity ring that speaks of your love. 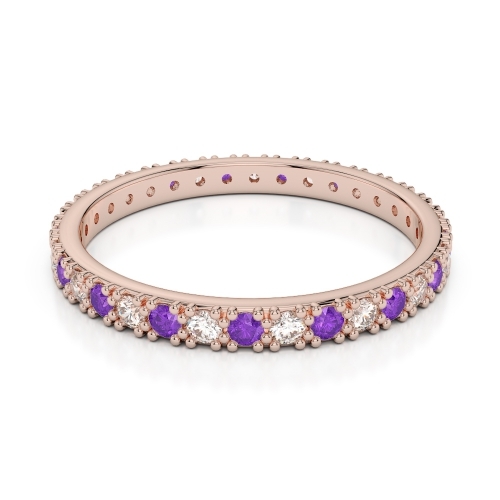 A line of royal purple gems interspaced with brilliant twinkling diamonds in a pave setting will not only help her look at you anew but she will not tire of wearing it for eternity.